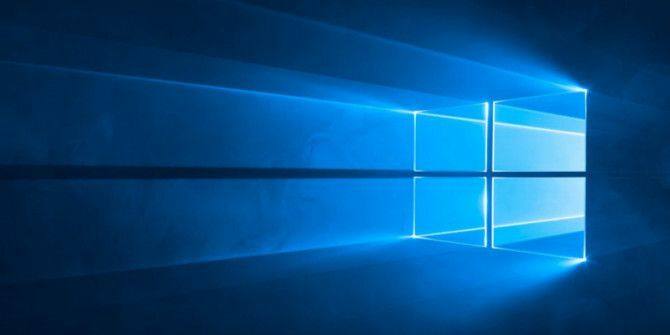 Windows 10 automatically updates the drivers for your hardware. While these forced updates are convenient, they also come with some drawbacks Pros & Cons of Forced Updates in Windows 10 Pros & Cons of Forced Updates in Windows 10 Updates will change in Windows 10. Right now you can pick and choose. Windows 10, however, will force updates onto you. It has advantages, like improved security, but it can also go wrong. What's more... Read More . On the one hand, you don’t have to manually update your drivers How to Find & Replace Outdated Windows Drivers How to Find & Replace Outdated Windows Drivers Your drivers might be outdated and need updating, but how are you to know? Here's what you need to know and how to go about it. Read More all the time. On the other hand, a buggy or poorly-timed driver update can cause your system to crash or devices to malfunction. If you start having issues with a device, Windows 10’s automatic driver updates could be at fault. Here’s how to review them. Open the Settings app, using the keyboard shortcut Win + I. Select the Update & Security entry. On the Windows Update tab, you’ll see an Update status header at the top. Click the View installed update history link below it. Here, you’ll see a list of all updated Windows has installed. Use the arrows to collapse all categories except for Driver Updates. You’ll see your most recently installed drivers, including their date and version number. Clicking on an update’s information should bring you to an informational page on Microsoft’s website. However, it seems the company has not properly implemented this feature yet. If you see a driver that failed to install repeatedly, or notice that a device you’re having trouble with recently had a driver update, that’s a good sign that you need to troubleshoot it. To disable automatic updates, open the Control Panel and click the System entry. Select Advanced system settings on the left side, and choose the Hardware tab in the resulting window. Click the Device Installation Settings button, and select No. Check our guide to taking back control of driver updates Take Back Control Over Driver Updates in Windows 10 Take Back Control Over Driver Updates in Windows 10 A bad Windows driver can ruin your day. In Windows 10, Windows Update automatically updates hardware drivers. If you suffer the consequences, let us show you how to roll back your driver and block future... Read More for more information, as well as how to roll back drivers you’re having an issue with. Explore more about: Drivers, Troubleshooting, Windows Tips.